Last week, the terms “Ethereum SEC hearing”, “XRP SEC”, and “ETH SEC” were trending on Google as digital asset investors were curious about the security status of cryptocurrency tokens. This was shortly after the United States Securities and Exchange Commission released a guidance for cryptocurrencies. Now, according to the news on CoinDesk, the lawmakers in the United States are attempting to exempt cryptocurrencies from security laws and provide a separate regulatory framework for cryptocurrencies. If the bill is approved, it may be what the cryptocurrency space needs to reach mass adoption. On the other hand, it may a problem for the industry. For the record, this isn’t the first time the United States lawmakers are introducing a bill for security tokens. The bill is meant to give the cryptocurrency space a clear and precise regulatory framework within the United States. 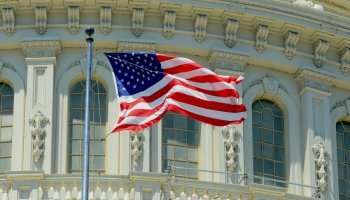 Warren Davidson, a United States Representative introduced this bill known as the Token Taxonomy Act for the second time on Tuesday. He said that if the bill is approved, it would send a powerful message to investors and innovators and prove that the United States is the best destination for blockchain technology. Last year, the bill was seconded by Darren Soto. The goal is to encourage innovation by making it easier for individuals to trade with cryptocurrencies. This would be an amendment of the Securities Act of 1933 and the Securities Exchange Act of 1940. This would give regulators the right level of clarity on the enforcement of securities laws and cryptocurrencies. The latest version of the bill is being co-sponsored by Representatives Redd Budd, Josh Gottheimer, Tulsi Gabbard, Scott Perry, Warren Davidson and Darren Soto. Apart from Scott Perry, the other cosponsors are members of the House Finance Services Committee. While the new bill is similar to the old bill, some changes were made in the new version. Digital tokens were clearly defined and provisions were made to ensure stronger customer protection. These provisions would also ensure that no state laws overlap with the act. According to CoinDesk, Kristin Smith who is currently acting as head of the Blockchain Association in Congress said that they are happy to introduce the Token Taxonomy Act again. How Would The New Token Taxonomy Act Affect The Cryptocurrency Space? The XRP SEC saga and ETH SEC saga have been hot topics in the cryptocurrency space. This is because the United States Securities and Exchanges Commission currently has the power to tag certain cryptocurrencies as securities and regulate them with securities laws. They have already taken action and charged exchanges and ICOs that were accused of selling unregistered securities. Many digital asset investors have been worried about what would happen when the SEC decides to set its sights on XRP and ETH. Now, if the bill is passed into law, the SEC would have no business regulating cryptocurrency tokens with security laws. Cryptocurrencies would be treated as standalone assets with their own regulations and laws. This is going to be a good thing because it may attract Wall Street investors and other investors who have not entered into the cryptocurrency space because of regulator uncertainty. On the other hand, these laws may drive some investors away from the cryptocurrency space. There are still many investors who believe that cryptocurrencies do not need to be regulated as regulations defeat the core purpose of decentralization. What do you think about the XRP news today? Will the bill be a good thing for XRP ETH and other cryptocurrencies? Share your thoughts in the comment section.